For this exclusive free VST giveaway, you have the chance to win one of five free copies of the LuSH-101 VST synthesizer from D16 Group Audio Software. Interested in Sound Design? check out our Sound Design course, with classes starting 6/24, 7/12, 7/21 in NYC, 6/17 in LA and Online. This contest has ended, congratulations to our winners! We’re giving away five free licenses of LuSH-101 from D16. Enter below. 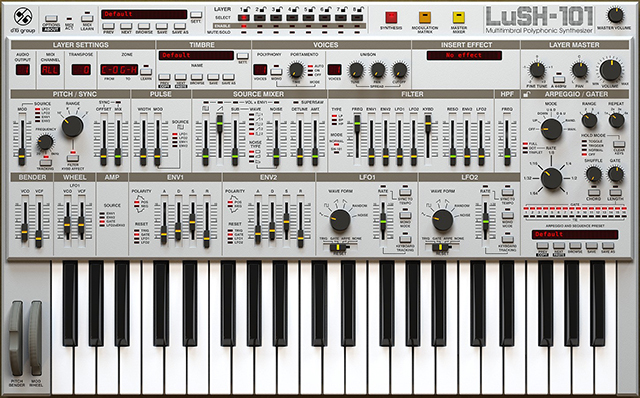 LuSH-101 is a new soft synth from Polish VST company D16 Group that attempts to emulate (and build upon) the sound of the classic Roland SH-101 synthesizer. Used by artists such as Aphex Twin, The Chemical Brothers, and Squarepusher, the SH-101 was popular in the 90s for being a simple, low-cost, thick sounding monophonic bass synthesizer. 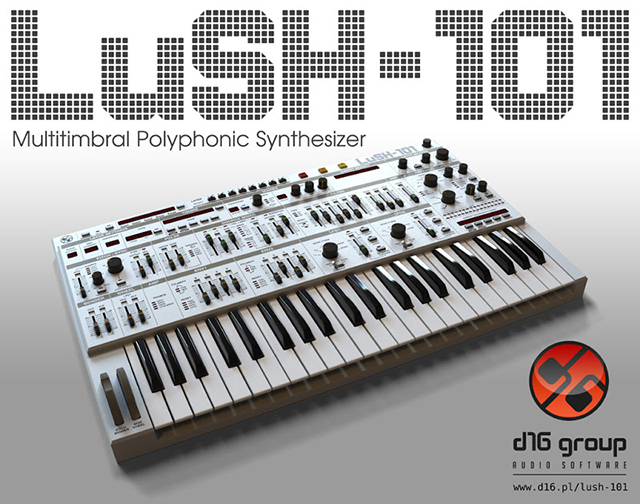 LuSH-101 builds on the architecture of the SH-101 in many ways, the most apparent being the addition of polyphony. Polyphony ups the versatility of LuSH-101, and this synth is adept evolving, warm pads and chords (hence the Lush) as well as classic mono bass sounds. 2. Get your name in the drawing again by sharing this article on Facebook and tagging D16 and Dubspot with the hashtag #dubspotcontest. Double your chances of winning! 3. Share this article on Twitter and @d16group and @Dubspot with the hashtag #dubspotcontest for yet another chance to win. Triple your chances!